I mean, is there a “CUDDLY V” or “JUST FRIENDS V” or “I LIKE SEEING YOUR GERMAN TAIL LIGHTS V”. You paid a lot of money to be evil, you could’ve saved the $60 on the plate. 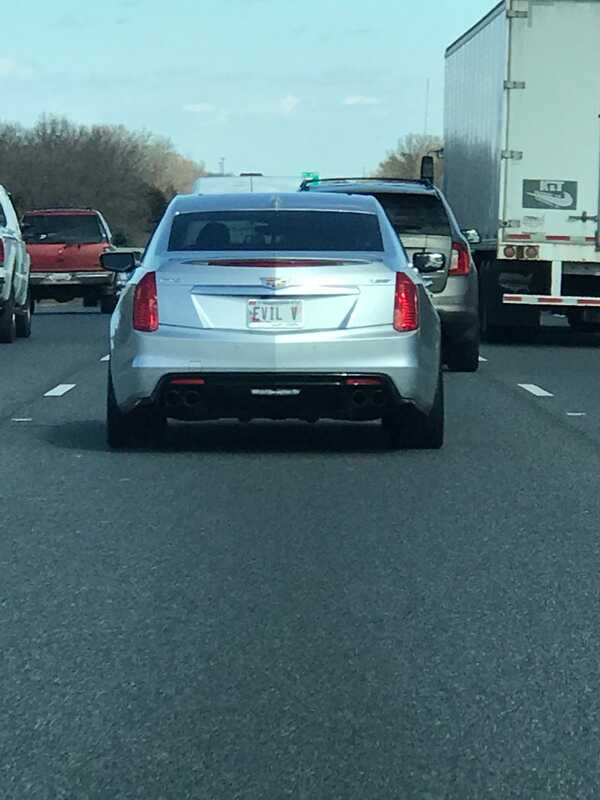 People who don’t know what a CTS-V is probably think you misspelled Elvis.